TEXAS -- The internet is filled with adorable animal videos, but this is one video that you can't miss! Any dog owner will tell you that they're convinced their pets can understand them. Well, one puppy is proving them right! 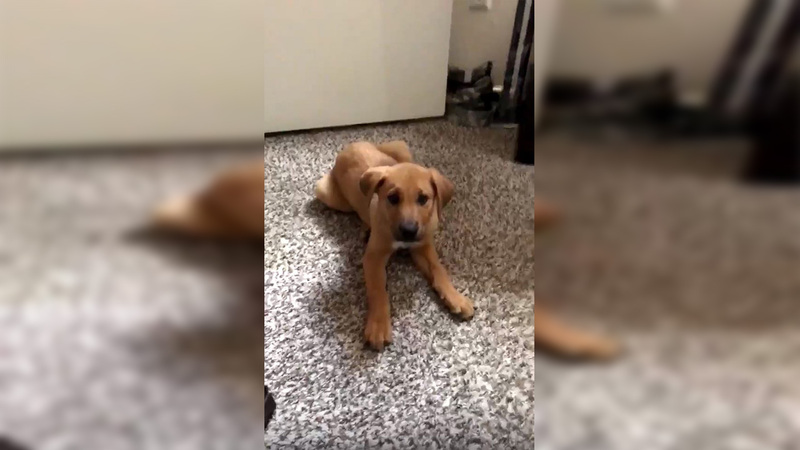 An undeniably adorable pup, Brownie, is going viral after his owner, Angiee, recorded him "talking back." Angiee posted a video of her coaching the pup to say thank you to her Twitter account. "Say thank you, say thank you," the woman demands. After whining, Brownie barks back, "Thank you." As the pooch calls back Angiee quickly exclaims, "Oh, I love you!" The video has taken Twitter by storm and has been retweeted over 94,000 times. How is Brownie dealing with his new found fame? His mom says life for him has been ruff but he's taking it well. "Brownie is going viral rn (right now), sweetie you're doing amazing, even in your sleep. Being famous is tuff," she said in a tweet. Storyful contributed to this post.